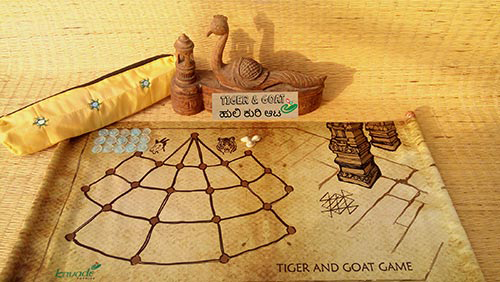 Tiger and Goat game is said to have originated in the 9th Century, and is seen inscribed on the floors of several temples in India. This fabric set in part of the Temple Series, that draws inspiration from the etchings at Lepakshi, Belur-Halebid temples. 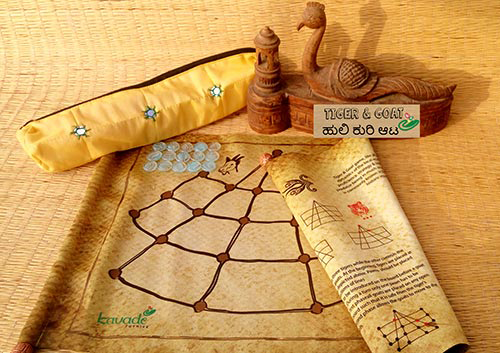 This set comes in the form of scroll, and is a neat and handy travel companion. 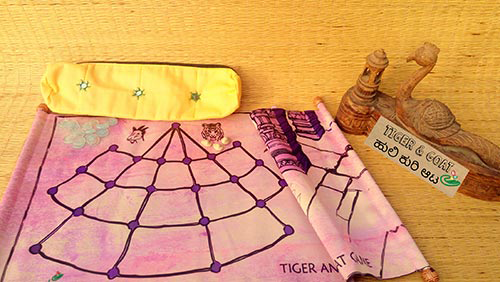 Includes colourful glass pawns; game rules are printed on the reverse side of the scroll.